week happen did take lugar continuacion of the interogacion of testigonan in the procedura cu michael williams owing to cuminsa for determina if the can cuminsa one caso of damage pear huicio contra gobierno. the personanan cu owing to wordo interoga week happen was the agent policial, carlos hodge, django simoons y vale hart of daily paper y calvin subaran. 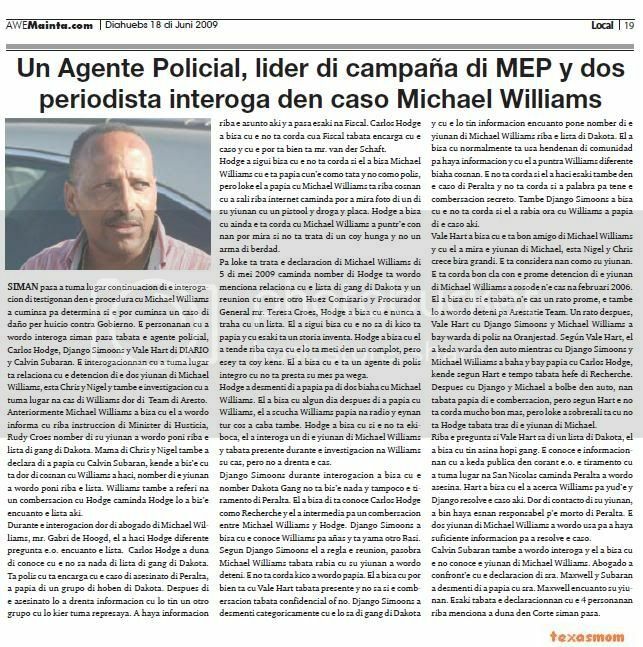 the interogacionnan cu did take lugar is relaciona cu the detencion of the two yiunan of michael williams, esta chris y nigel y also the investigacion cu did take lugar at home of williams by of team of aresto. 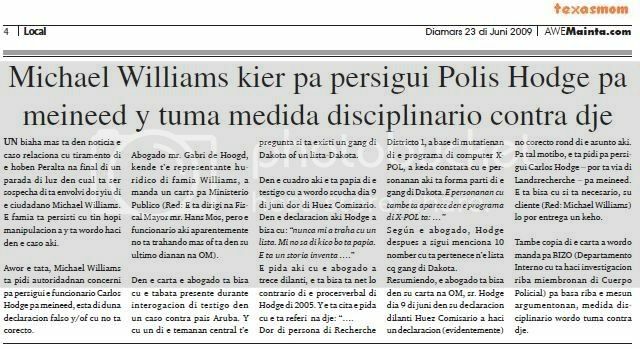 anteriormente michael williams owing to tell cu past owing to wordo informa cu on instruccion of minister of husticia, rudy croes name of his yiunan owing to wordo poni on the list of gang of dakota. mother of chris y nigel also owing to declara of owing to talk cu calvin subaran, that owing to bis’e cu is by of cosnan cu williams owing to haci, name of the yiunan owing to wordo poni on the list. williams also owing to referi at one combersacion cu hodge caminda hodge will owing to bis’e encuanto the list here. during the interogacion by of advocate of michael williams, mr. gabri de hoogd, past owing to haci hodge various question the.o. encuanto the list. carlos hodge owing to give of conoce cu the not know nothing of list of gang of dakota. is police cu is encarga cu the caso of asesinato of peralta, owing to talk of one are of young of dakota. after of the asesinato will owing to enter informacion cu will have one another are cu will wanted take represaya. owing to achieve informacion on the asunto here y owing to happen this at fiscal. carlos hodge owing to tell cu the do not corda cua fiscal was encarga cu the caso y cu the can is bien is mr. van der schaft. hodge owing to follow tell cu the do not corda if past owing to tell michael williams cu the is talk cun’e because; father y not because; police, but thing past owing to talk cu michael williams is on cosnan cu owing to leave on internet caminda can owing to see photograph of one of his yiunan cu one pistool y drugs y coin. hodge owing to tell cu still the is corda cu michael williams owing to puntr’e con they can see if do not deal of one coy play y not one arm of berdad. for thing is deal the declaracion of michael williams of 5 of half 2009 caminda name of hodge is wordo menciona relaciona cu the list of gang of dakota y one meeting cu among another huez comisario y procurador general mr. teresa croes, hodge owing to tell cu the never owing to work cu one list. past owing to follow tell cu the not know of kico is talk y cu this is one storia inventa. hodge owing to tell cu past owing to hear on caya cu the will is meti in one complot, but esey is coy stupid. past owing to tell cu the is one agent of police integro cu do not presta his self for game. hodge owing to desmenti of owing to talk for of two trip cu michael williams. past owing to tell cu some day after of owing to talk cu williams, past owing to listen williams talk at radio y eynan all cos owing to end also. hodge owing to tell cu if the do not ekiboca, past owing to interoga one of the yiunan of michael williams y was present during the investigacion at williams his cas, but not owing to enter the cas. django simoons during interogacion owing to tell cu the name dakota gang do not bis’e nothing y niether the tiramento of peralta. past owing to tell of is conoce carlos hodge because; recherche y past owing to intermedia for one combersacion among michael williams y hodge. django simoons owing to tell cu the conoce williams for añas y is calling another basi. according django simoons past owing to regulation the meeting, because michael williams was angry cu his yiunan owing to wordo deteni. the do not corda kico owing to wordo talk. past owing to tell cu can bien is cu vale hart was present y not know if the combersacion was confidencial or not. django simoons owing to desmenti categoricamente cu the will know of gang of dakota y cu the will have informacion encuanto place name of the yiunan of michael williams on the list of dakota. past owing to tell cu ordinarily is using hendenan of comunidad for achieve informacion y cu past owing to ask about williams various trip cosnan. the do not corda if past owing to haci this also in the caso of peralta y do not corda if owing to word for as the combersacion secreto. also django simoons owing to tell cu the do not corda if past owing to angry hour cu williams owing to talk of the caso here. vale hart owing to tell cu the is good amigo of michael williams y cu past owing to see the yiunan of michael, esta nigel y chris crece become big. the is considera they because; his yiunan. the is corda good cla con the first detencion of the yiunan of michael williams owing to sosode n’e cas at feburary 2006. past owing to tell cu if the was n’e cas one rato first, the also will owing to wordo deteni for arestatie team. 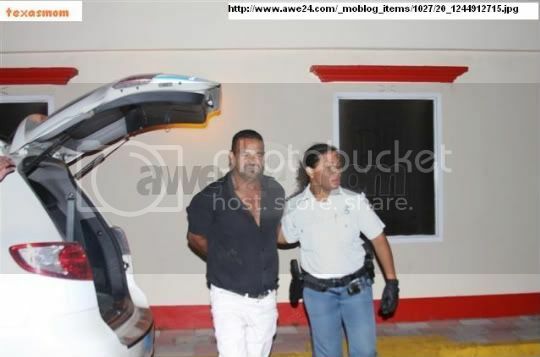 one rato after, vale hart cu django simoons y michael williams owing to bay keep of police at oranjestad. según vale hart, past owing to stay keep in car while cu django simoons y michael williams owing to descend y bay talk cu carlos hodge, that according hart the time was boss of recherche. after cu django y michael owing to go back in car, they was talk of the combersacion, but according hart the do not corda mucho good more, but thing owing to sobresali is cu do not hodge was behind the yiunan of michael. on the question if vale hart know of one list of dakota, past owing to tell cu have so much gang. the conoce the informacionnan cu owing to stay publica in corant the.o. the tiramento cu did take lugar at san nicolas caminda peralta owing to wordo asesina. hart owing to tell cu past owing to acerca williams for yud’e y django resolve the caso here. by of contacto of his yiunan, owing to come achieve esnan responsible p’e dead of peralta. the two yiunan of michael williams owing to wordo using for owing to achieve sufficient informacion for owing to resolve the caso. calvin subaran also owing to wordo interoga y past owing to tell cu the not conoce the yiunan of michael williams. advocate owing to confront’e cu the declaracion of sra. maxwell y subaran owing to desmenti of owing to talk cu sra. maxwell encuanto his yiunan. this was the declaracionnan cu the 4 personanan on menciona owing to give in corte week happen. 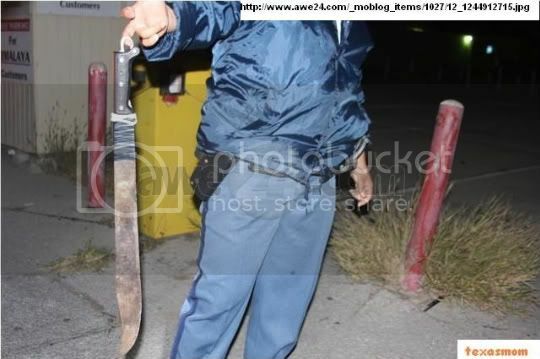 we of awemainta owing to publica in we edicion of monday ultimo, cu diabra in oranan of madruga, had one are of person stop in parking-lot of macumba y they was see one name is mula one machete on caminda. 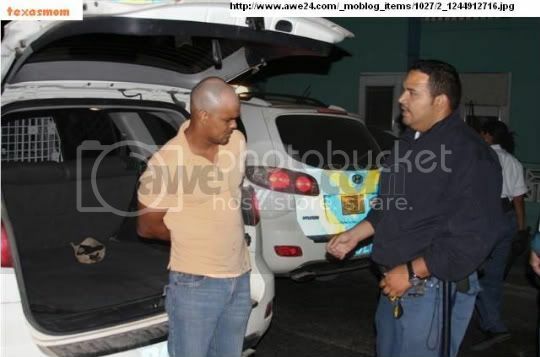 police owing to detene at such ocasión, he d.r. of 28 year, naci at sand domingo, that owing to resisti his detencion. also police owing to detene he g.r., of 49 year also naci at sand domingo, that in first instancia we owing to believe is one amigo of d.r. but we of awemainta owing to being informa cu g.r. is father of d.r. g.r. 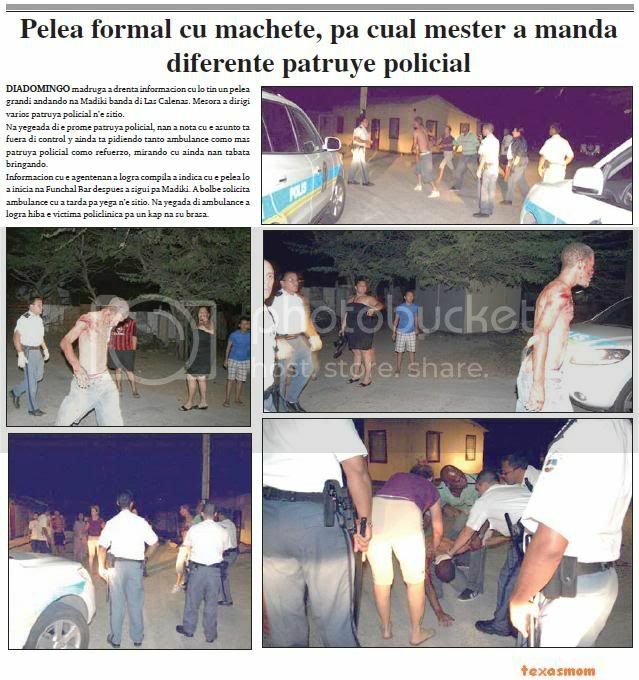 owing to being acusa of owing to stroba trabao of police, hour of detene d.r. y because; such owing to stay deteni also. in week, we of awemainta owing to achieve fotonan take of g.r., that owing to tell of owing to wordo malamente beat for police, siendo cu past owing to leave at defence of his child, for police not follow bati’e y the cu not owing to haci nothing, today is one victima of actuacion brutal of police. según g.r., past owing to haci one denuncia at autoridadnan competente end, but also owing to busca sosten of consul of sand domingo at aruba, for at level gubernamental also haci one denuncia, because this do not form of deal one being human. assure this is one caso, cu bizo y/of landsrecherche will bay investiga, for trece claridad is kico owing to happen exactly, first of acusa one or more police of maltrato of one being human. presencia of police owing to wordo ask tuesday morning for 8’or at one supermercado at savaneta, where ladronnan owing to enter via roof. n’e sitio, police is talk cu the owner y.z, naci at china y the is tell cu past owing to come open his business morning y owing to see cu past owing to achieve visit of thief. past owing to notice one buraco in his roof y one cabuya is colga. past owing to tell police cu the not can give at once exactly kico they owing to bay cune, but will work one inventory y after the is entrega the list at recherche. 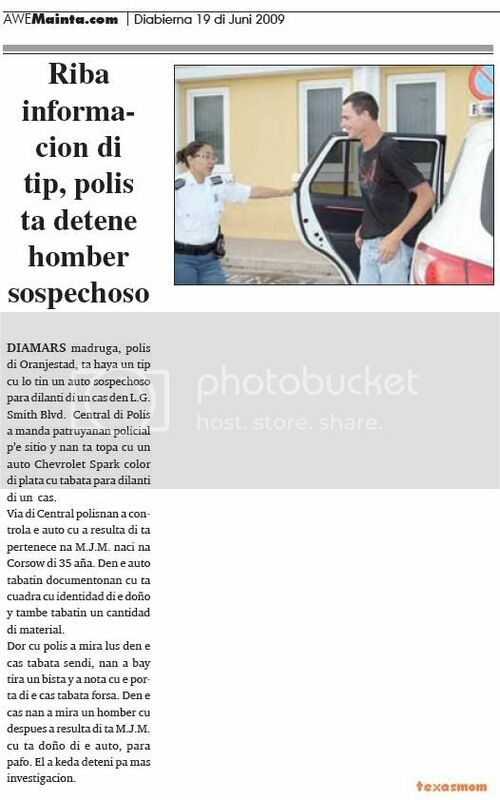 tuesday madruga, police of oranjestad, is achieve one tip cu will have one car sospechoso stop fast of one cas in l.g. smith blvd. central of police owing to send patruyanan policial p’e sitio y they're come across cu one car chevrolet spark color of silver cu was stop fast of one cas. via of central polisnan owing to controla the car cu owing to resulta of is pertenece at m.j.m. naci at corsow of 35 year. in the car had documentonan cu is cuadra cu identidad of the owner y also had one cantidad of material. by cu police owing to see light in the cas was sendi, they owing to bay throw one view y owing to notice cu the door of the cas was compel. in the cas they owing to see one man cu after owing to resulta of is m.j.m. cu is owner of the car, stop pafo. past owing to stay deteni for more investigacion. 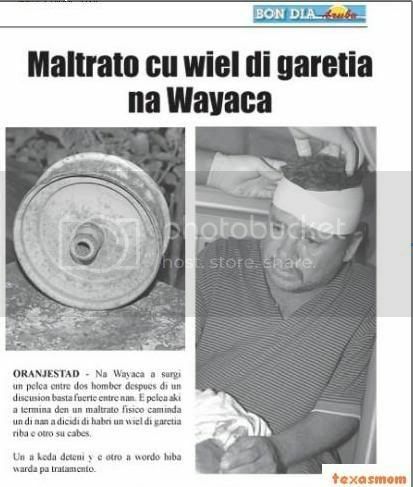 police is bay at one cas at wayaca diahuebs night 7.20 for one maltrato. n’e cas police is constata cu had one problem among two brother y uno owing to stay cu one chop at his cabes. police owing to talk cu the brother man victima r.a.m., that had one chop at his cabes. r.a.m. owing to tell cu past owing to achieve problem cu his brother man f.t.m., that owing to dale cu one ream of garetia. ambulance owing to come n’e sitio y owing to dune tratamento. the brother f.t.m. owing to stay deteni y take away keep at where past owing to stay close. according we owing to compronde this do not first trip cu they're discuti y do not first trip cu esun is ricibi one maltrato. fiscal is much preocupa cu the future of de cuba. the is achieve cu de cuba do not show of is stop responsible for his actonan y owing to exigi 7 year of jail p’e. de cuba is wordo sospecha cu day 23 of december 2008 past owing to try asesina he d. subsidiario fiscal is acusa de cuba of maltrato severo by cu de cuba owing to hinca d. cu one sker at his throat bao of his braza, mouth y even owing to perfora one lung. more subsidiario fiscal is acusa de cuba of maltrato cu arm. all cos is give the impresion cu here is deal one cuestion of relacion amoroso caminda de cuba, that is one adicto at drugs, not can owing to controla his emocionnan y owing to bay agredi d. cu one sker. de cuba owing to wordo representa for advocate mr. ras orman. in sitting-room of corte was present the victima d., that wanted haci one demanda of damage contra de cuba. huez owing to tell cu de cuba is stop on cu the not owing to hinca d. cu sker. huez owing to show cu d. owing to reconoce de cuba because; esun cu owing to hinke y his acompañante w.,cu was ex girlfriend of de cuba, also owing to reconoce de cuba. so self de cuba is stay stop on cu not hacie. huez owing to show cu d. owing to stay cu the tshirt y in the car owing to achieve one part of the sker. owing to send esakinan the netherlands for let haci investigacion. this owing to last one time. the result of the investigacion on the sker is show cu have indicacion cu the dna can is of de cuba y the chens is much diminutive cu the can was in hand of another person. esey show cu de cuba had the sker in hand y also cu the t-shirt is procedente of de cuba. de cuba owing to ask huez one time p’e talk cu his advocate on the raport of the netherlands already cu they not owing to achieve time for talk on the raport here. after de cuba owing to tell huez cu the end of week ey past owing to drink alcohol y using much drugs y do not corda nothing of thing past owing to haci. 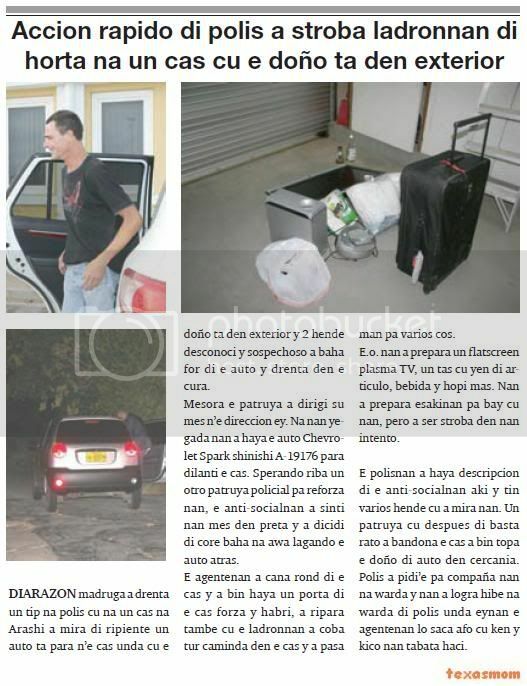 according de cuba past owing to stay at home of his girlfriend r.
de cuba owing to tell cu the can is possible as huez owing to tell cu past owing to leave for of the cas y bay ataca d. but the do not corda just net nothing. huez owing to lag’e see photograph of the sker y the flanel. past owing to tell cu the does not have nothing of haci cu de cuba y his ex girlfriend w. the wanted follow his life y the do not bay haci nothing for her cas cu the also have derecho upstairs. the wanted the cas for his yiunan. d. owing to demanda p’e achieve the part of salary cu the not owing to achieve during 13 day cu is algo more of 200 guilder. fiscal is achieve prove attempt of asesinato. past owing to tell cu d. have suerte of is at life mirando the hincanan cu past owing to abide by of de cuba. owing to hinca d. two trip at throat y at mouth. all this is indicacion cu de cuba owing to actua premedita. the is achieve cu de cuba do not show his responsabilidad in the caso here. fiscal is achieve the caso much earnest y owing to exigi 7 year of jail y cu the sker will stay confisca. past owing to ask huez for confirma demanda of d. fiscal owing to expresa of is much preocupa for future of de cuba. advocate mr. ras orman owing to show cu de cuba the day ey owing to drink y using much drugs y do not corda just net nothing of thing owing to haci. not have raport of psychiater for show if de cuba is responsible for thing past owing to haci. now cu dna is show cu the posibilidad is big cu is de cuba owing to haci’e, the have doubt kico genuinely past owing to haci. past owing to show cu had one caso anterior caminda one alcoholico owing to hinca one person y owing to exigi 2 year p’e. past owing to ask huez for as this at cuenta. the do not believe cu de cuba is false as fiscal is pretende. de cuba owing to let his yiunan y his ex casa in cas while cu the self is on caya. this is 3 year end. advocate owing to ask about de cuba if the is dispuesto for bay sand domingo for two year for rehabilita. this is one garantia cu tanto de cuba because; d. is assure cu nothing will happen. de cuba owing to ask disculpa if algo will can owing to happen y past owing to tell d. cu nothing will bay happen. the is dispuesto for bay sand domingo. fiscal is achieve cu sand domingo is one good solucion, but the is believe cu de cuba will have to end of sit his castigo. day 3 of july sentencia is cay. ORANGE CITY - The Public Prosecutor (OM) demanded this week seven years imprisonment for suspected C. due to attempted murder and grievous bodily harm. C. is suspected in a December 23, 2008 D. with scissors in his neck made it. The victim had been severely injured. On Saturday the day the unsuspecting victim in his car when he suddenly something heets at his neck felt. He looked around and saw a man who in his throat seemed to intervene. The victim thought he was a wanderer had to do with him and began to fight. Ultimately knew the suspect away and he ran away. The victim of the T-shirt of the accused to address had been wanted his attacker aanrennen. He came to the discovery that he was stabbed in his neck and was urgently taken to hospital for treatment. A piece of the scissors in the car was found and seized as evidence. The suspect, known as a drug addict, initially denied everything. Despite the positive identification of the victim and a witness, was C. to your guns, not to be responsible for the incident. Then came the prosecutor with a forensic report from the Netherlands. DNA research revealed that the T-shirt and scissors most likely belonging to the suspect. After a brief discussion with his lawyer, the suspect his story to fit. Then he said to have been under the influence of drink and drugs and nothing to remember. The suspect said to have regrets, if he were responsible for the cross party and gave assistance to search for his addiction. His lawyer also argued for a lower sentence. His client would like to kick it and two years in Santo Domingo residents. Given the seriousness of the offense and the fact that the victim twice in the neck and once in the mouth has been found for the advice that is acted with premeditation. The officer stayed with the requirement of seven years in prison and a compensation of the victim. The judge is ruling on July 3.
diahuebs night 00.38, the madam owing to.j. naci at haiti of 68 year, is bay keep of police y is tell police cu the was stop at bushalte at height of tamarijn, y owing to wordo atraca. the is tell cu one car berde owing to stop near of dje y one boy owing to descend for of the car y owing to ranca his bag. after past owing to enter in the car y owing to core bay. presencia of police owing to wordo ask diahuebs 6’or of nightfall, at one cas at keito, where ladronnan owing to enter steal in one cas hour cu the inhabitant not was present. n’e cas police is talk cu one person, that is stay in the cas y the is tell cu past leave morning y hour cu past owing to go back 4’or, past owing to see cu thief owing to enter in the cas. police is talk cu one witness, that is tell police cu past owing to see one car stop fast of the cas y 3 young owing to descend y bay flatscreen y also one yamaha. the witness owing to give all informacion of the car, y also name of the 3 hobennan. 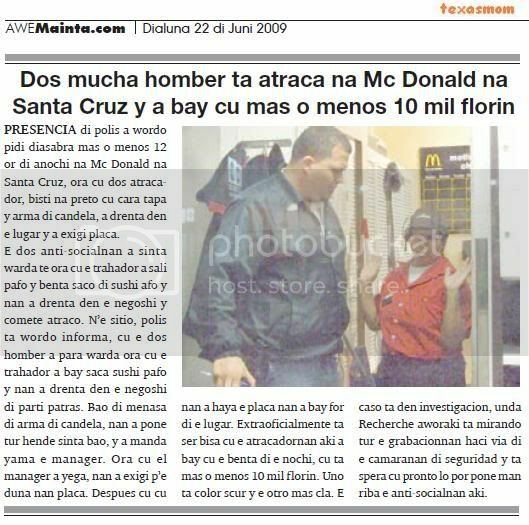 presencia of police owing to wordo ask saturday more or less 12 or of night at mc donald at santa cruz, hour cu two atracador, dress at black cu cara tapa y arm of candela, owing to enter in the lugar y owing to exigi coin. the two anti-socialnan owing to sit keep till hour cu the trahador owing to leave pafo y throw saco of dirt afo y they owing to enter in the business y comete atraco. n’e sitio, police is wordo informa, cu the two man owing to stop keep hour cu the trahador owing to bay saca dirt pafo y they owing to enter in the business of part behind. bao of menasa of arm of candela, they owing to place everybody sit bao, y owing to send calling the manager. hour cu past manager owing to arrive, they owing to exigi p’e give they coin. after cu cu they owing to achieve the coin they owing to bay for of the lugar. extraoficialmente is being tell cu the atracadornan here owing to bay cu the throw of the evening, cu is more or less 10 thousand guilder. uno is color dark y the another more cla. the caso is in investigacion, where recherche aworaki is mirando all the grabacionnan haci via of the camaranan of seguridad y is wait for cu soon will can place hand on the anti-socialnan here. 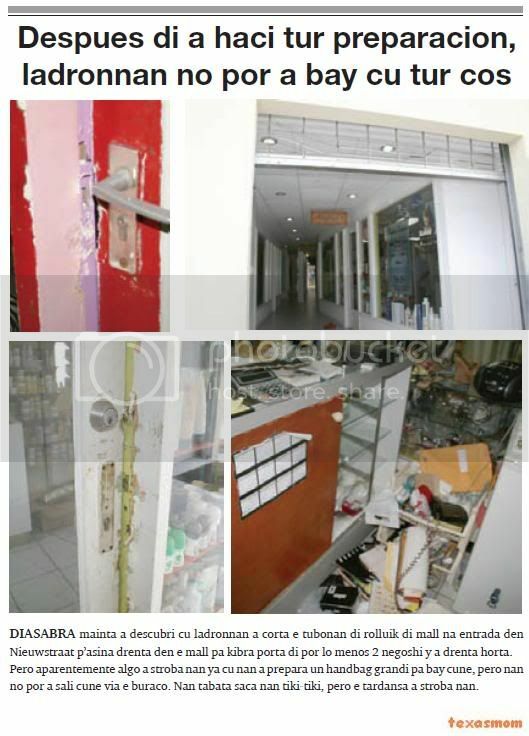 saturday morning owing to descubri cu ladronnan owing to clip the tubonan of rolluik of mall at entrance in nieuwstraat p’asina enter in the mall for break door of at least 2 business y owing to enter steal. but apparently algo owing to stroba they already cu they owing to prepara one handbag big for bay cune, but they not can owing to leave cune via the buraco. they was saca they tiki-tiki, but the tardansa owing to stroba they. saturday nightfall for night owing to enter informacion of cu apparently one person will owing to being maltrata cu tubo at seroe janchi. at arrival of the patrol they owing to being informa cu owing to maltrata a cu tubo, but past owing to being take away for a cu one pick-up. more late owing to enter one another informe cu at one cas at calabas have one man maltrata throw abao. at arrival of the patrol policial, they owing to talk cu the victima y this owing to declara cu at one of the casnan at seroe janchi the being maltrata cu tubo y they owing to bay lague behind for his cuenta. at arrival of ambulance at once they owing to hibe hospital. 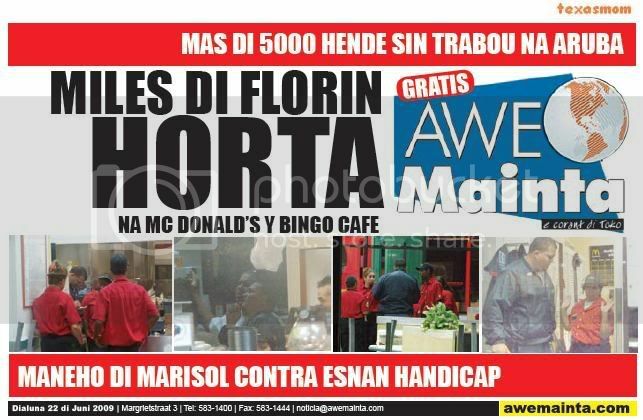 the owner of bingo café, diabierna 4’or of madruga, is ask asistencia of police for one caso of ladronisia. eynan police owing to talk cu the owner m.v.d w, naci at the netherlands, that is tell police cu ladronnan owing to clip the wire behind the establecimento y owing to break door for they can owing to enter y owing to bay cu the box strong in cual had 15 thousand guilder, thousand euro y also some passport of personanan cu is of vacacion for of the netherlands. the caso is in investigacion. 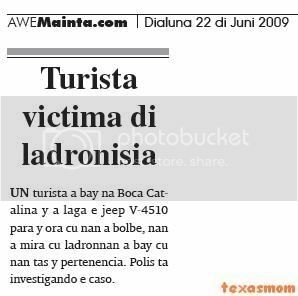 one tourist owing to bay at mouth catalina y owing to let the jeep v-4510 stop y hour cu they owing to go back, they owing to see cu ladronnan owing to bay cu they bag y pertenencia. police is investigando the caso. diadomingo madruga for 4.30, during cu police is patruyando in de la sallestraat, they're see at height of the nightclub samba caramba, they're see one pareha is discuti serious cu another on caya. police is stop y is ask about the madam if the have have to of aid. past owing to tell police cu if, but he if not owing to stay contento y owing to become much rude. 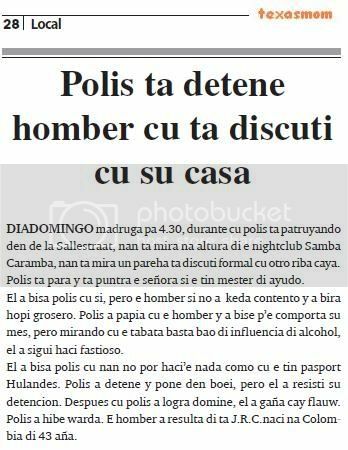 police owing to talk cu he y owing to bise p’e comporta his self, but mirando cu the was enough bao of influencia of alcohol, past owing to follow haci fastioso. past owing to tell police cu they not can haci’e nothing because; cu the have passport dutch. 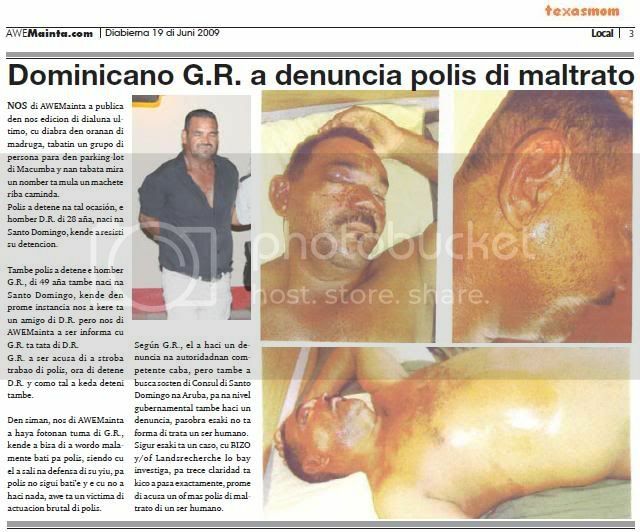 police owing to detene y place in boei, but past owing to resisti his detencion. after cu police owing to succeed domine, past owing to lie cay flauw. police owing to hibe keep. he owing to resulta of is j.r.c.naci at colombia of 43 year. 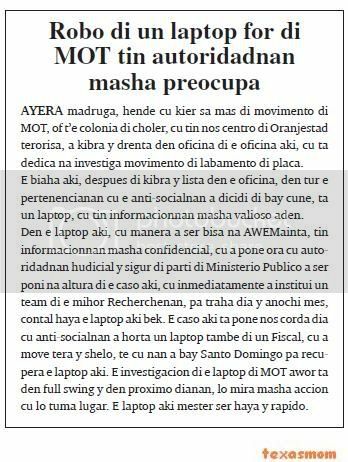 yesterday madruga, person cu wanted know more of movimento of mot, or t’e colonia of choler, cu have we centro of oranjestad terorisa, owing to break y enter in office of the office here, cu is dedica at investiga movimento of labamento of coin. the trip here, after of break y list in the office, in all the pertenencianan cu the anti-socialnan owing to dicidi of bay cune, is one laptop, cu have informacionnan very valioso inside. in the laptop here, cu as owing to being tell at awemainta, have informacionnan very confidencial, cu owing to place hour cu autoridadnan hudicial y assure of part of ministerio publico owing to being poni at height of the caso here, cu at once owing to institui one team of the mihor recherchenan, for work day y night self, contal achieve the laptop here bek. the caso here is place we corda day cu anti-socialnan owing to steal one laptop also of one fiscal, cu owing to actuate ground y heaven, till cu they owing to bay sand domingo for recupera the laptop here. the investigacion of the laptop of mot now is in full swing y in proximo dianan, will see very accion cu will take lugar. the laptop here have to being achieve y rapido. once more is in news the caso relaciona cu tiramento of the young peralta at end of one parada of luz in cual is being sospecha of is envolvi two child of the ciudadano michael williams. the family is persisti cu have much manipulacion owing to y is wordo haci in the caso here. now the father, michael williams is ask autoridadnan concerni for persigui the funcionario carlos hodge for meineed, esta of give declaracion false y/of cu do not corecto. advocate mr. gabri de hoogd, that t’e agent huridico of family williams, owing to send one carta for ministerio publico (red: the is dirigi at fiscal parent mr. hans mos, but the funcionario here apparently do not trahando more or is in his ultimo dianan at om). 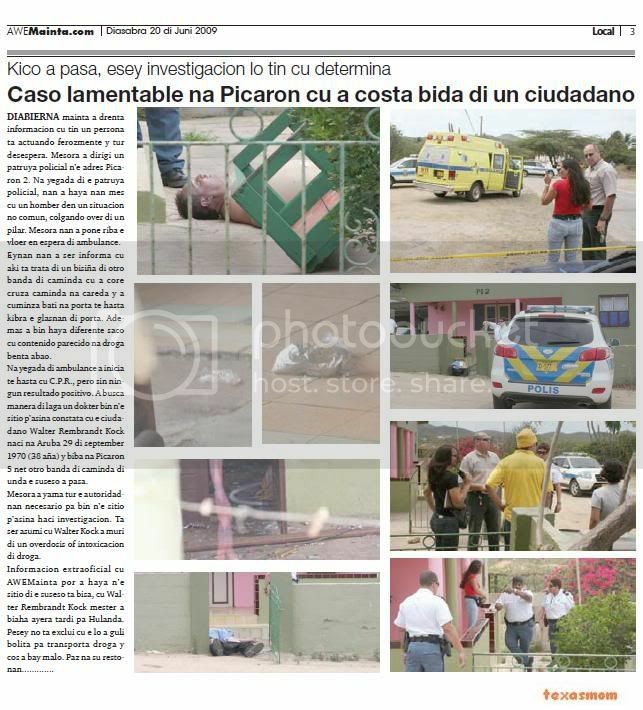 in the carta the advocate is tell cu the was present during interogacion of witness in one caso contra country aruba. y cu one of the temanan central t’e question if is existi one gang of dakota or one lista-dakota. in the cuadro here the is talk of the witness cu owing to wordo listen day 9 of june by of huez comisario. in the declaracion here hodge owing to tell cu: “nunca i have work cu one list. my not know of kico are you talk. the is one storia inventa ….” the piece here cu the advocate owing to trece fast, the is tell is just will contrario of the procesverbal of hodge of 2005. y the is cita the piece cu the is referi at dje: “…. by of person of recherche districto 1, owing to base of mutatienan of the declaration of policy of computer xpol, owing to stay constata cu the personanan here is form part of the gang of dakota. the personanan cu also is aparece in the declaration of policy of x-pol ta: …” según the advocate, hodge after owing to follow menciona 10 name cu is pertenece n’e list cq gang of dakota. resumiendo, the advocate is tell in his carta at om, sr. hodge day 9 of june in his declaracion fast huez comisario owing to haci one declaracion (evidentemente) not corecto rond of the asunto here. for such motibo, the is ask for persigui carlos hodge – can is via of landsrecherche – for meineed. the is tell cu if is necesario, his cliente (red: michael williams) will can entrega one complaint. also copia of the carta owing to wordo send for bizo (departamento inner cu is haci investigacion on miembronan of cuerpo policial) for basa on the same argumentonan, medida disciplinario wordo take contra dje. just in the first minutnan after of 12’or mey night, owing to enter informacion cu have one lady all at blood in caya betico croes at height of the atm of aruba bank. at once owing to dirigi one patrol policial n’e sitio. at arrival of police, they owing to come achieve they self cu the lady, that owing to declara cu the was canando in caya hour cu 3 person owing to atake y maltrate. besides they owing to bay cu all his pertenencianan. police did take his declaracion y owing to stay of bay look at the video of seguridad of the banco p’asina saca afo that t’e 3 anti-socialnan here cu owing to comete one acto bochornoso at one lady indefenso. diadomingo madruga owing to enter informacion cu will have one action big andando at madiki near of las calenas. at once owing to dirigi several patrol policial n’e sitio. at yegeada of the first patrol policial, they owing to notice cu the asunto is fuera of control y still is pidiendo tanto ambulance because; more patrol policial because; refuerzo, mirando cu still they was bringando. informacion cu the agentenan owing to succeed compila owing to indica cu the action will owing to inicia at funchal bar after owing to follow for madiki. owing to go back solicita ambulance cu owing to tarda for arrive n’e sitio. at arrival of ambulance owing to succeed take away the victima policlinica for one chop at his arm. police of san nicolas is bay monday madruga 2.30 at one cas in weg kust batterij for one asistencia. eynan police is talk he c.f. naci at aruba of 52 year, that is tell police cu past owing to arrive cas y at instant cu past owing to bay open door of cura, two man owing to atake y fight cune. past owing to bark y owing to ask aid. he cu owing to fight cune owing to try of saca his cartera for of his saco, but past owing to fight serious cu he. c.f. owing to stay cu one injury at his curpa y also all at ground. all the time the another was busca in his car. they not owing to succeed bay cu nothing. Page created in 2.358 seconds with 19 queries.